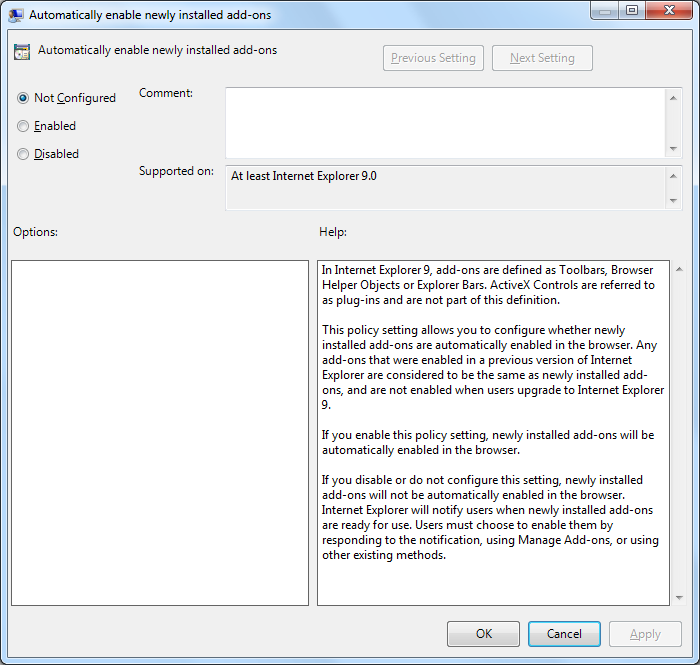 Microsoft today released the Internet Explorer 9 Release Candidate to the public for testing at http://ie.microsoft.com/testdrive/ . This new browser is the cleanest, fastest, most secure, standards compliant browser that Microsoft (and anyone else) has ever released. 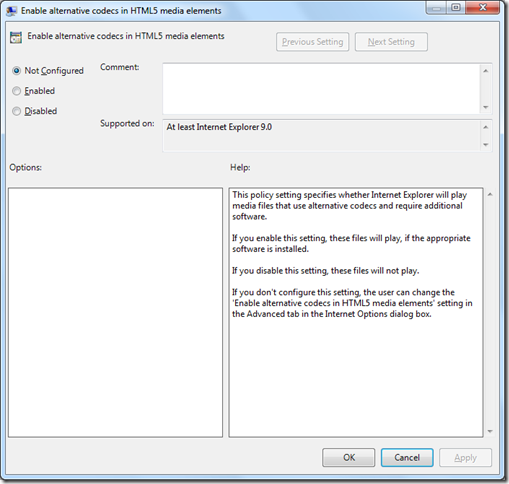 If you have using IE9 in your organisation (and you probably are) they you need to take a serious look a upgrading to this browser when it is released. 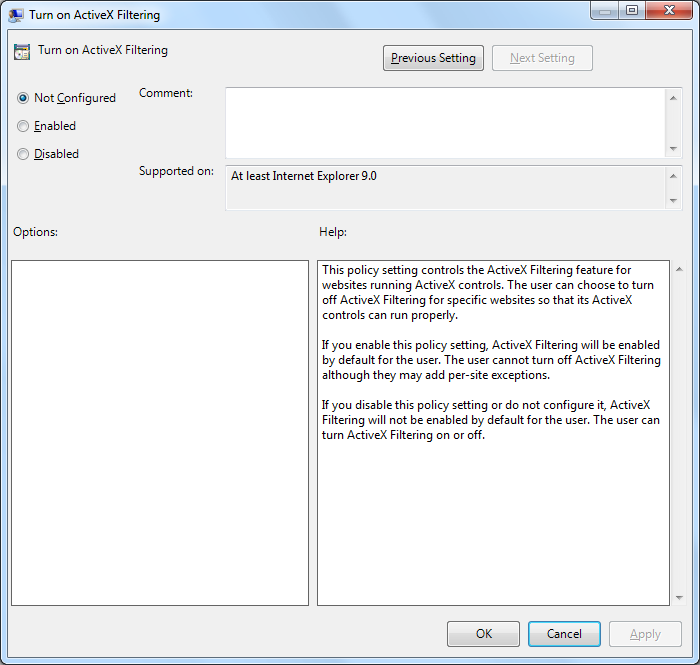 With a new browser comes new features, with new features comes new options and with new options come NEW GROUP POLICIES!!! 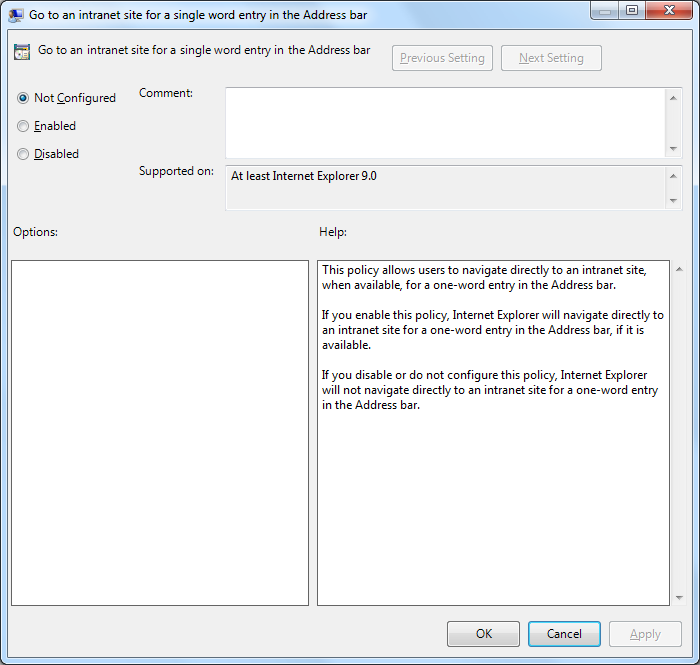 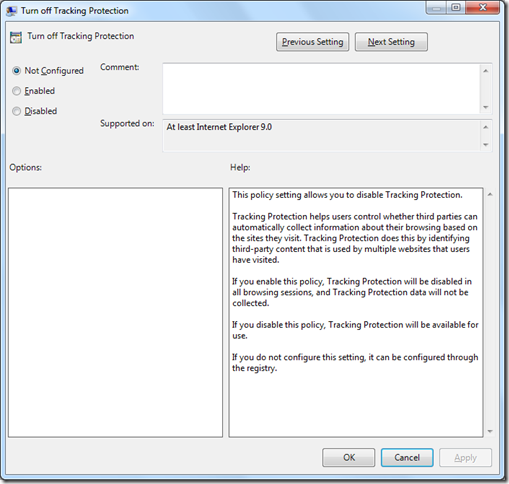 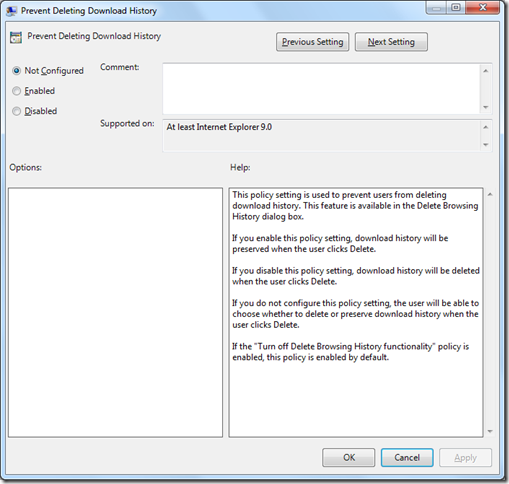 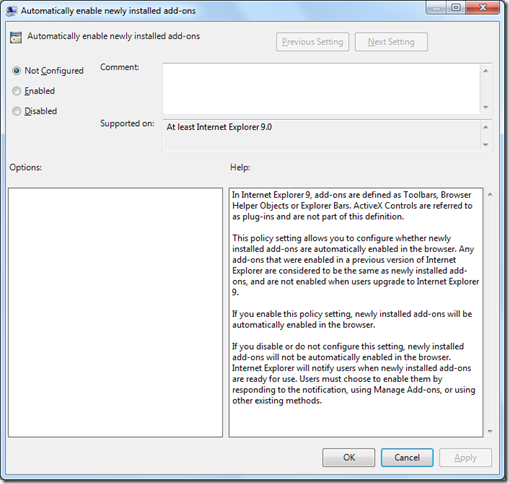 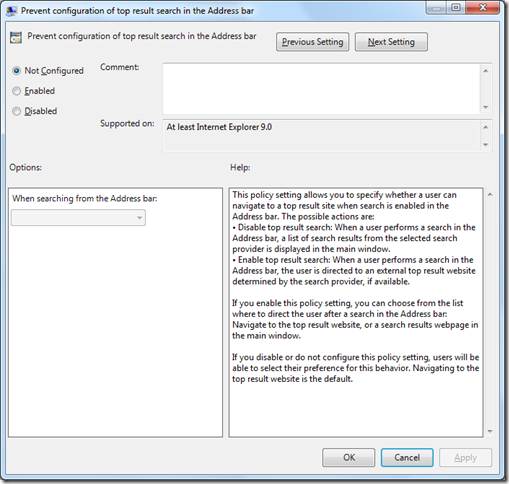 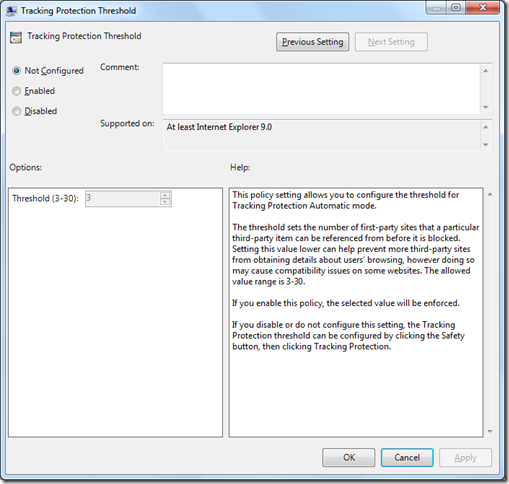 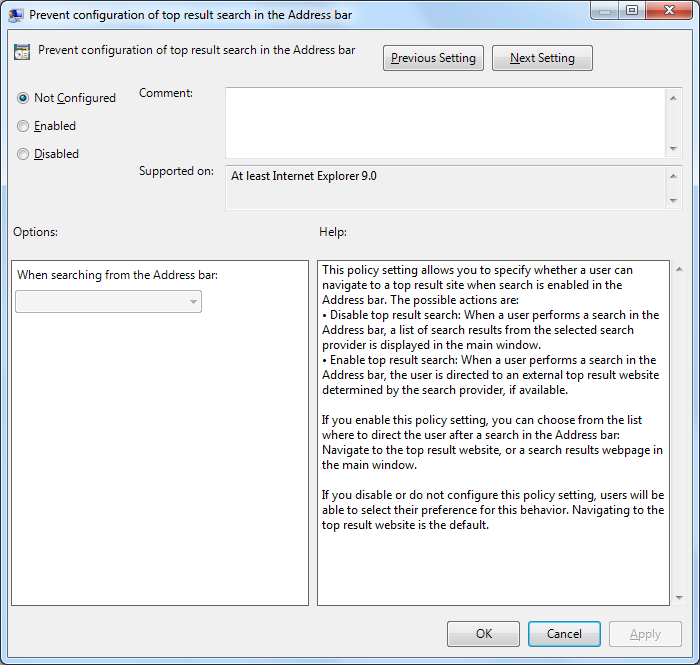 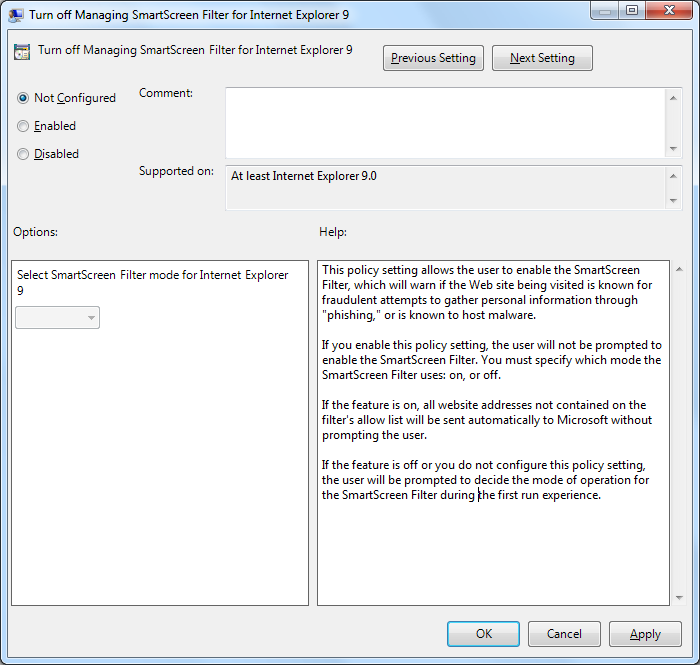 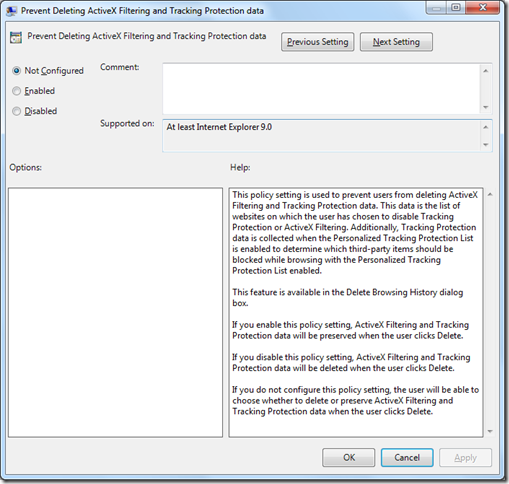 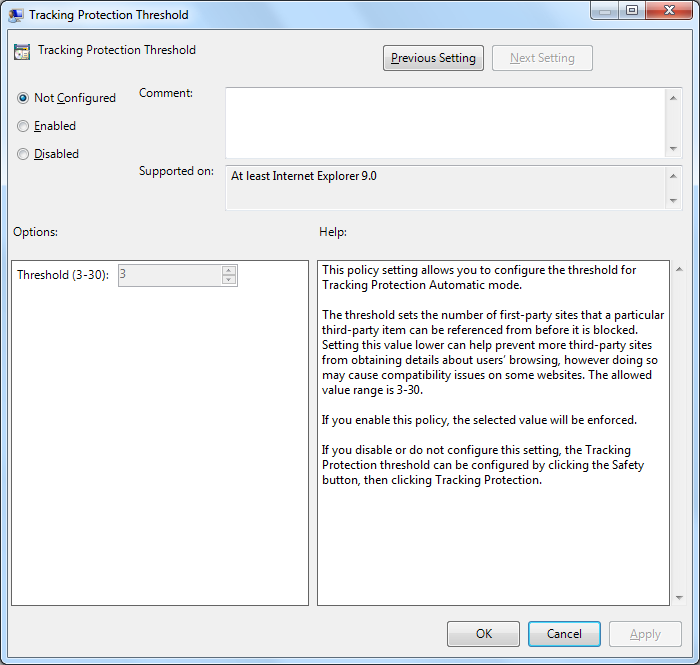 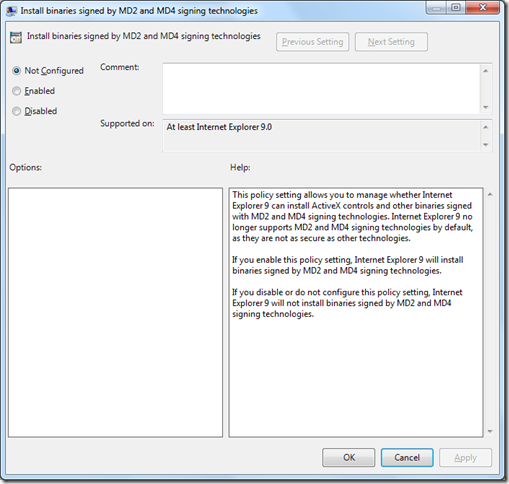 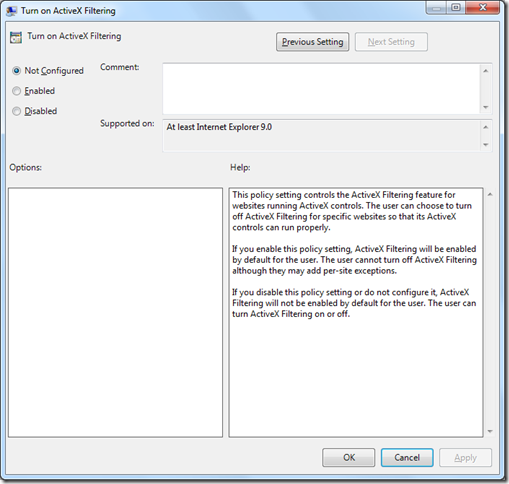 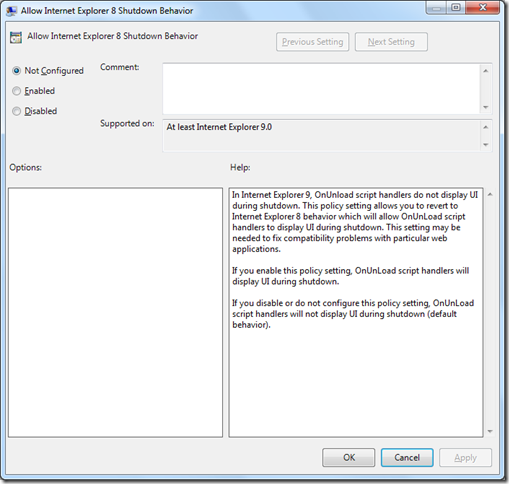 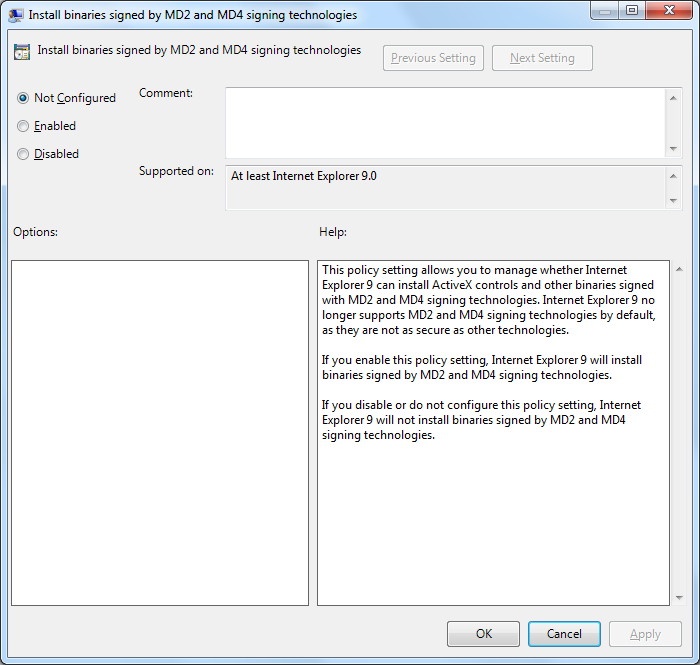 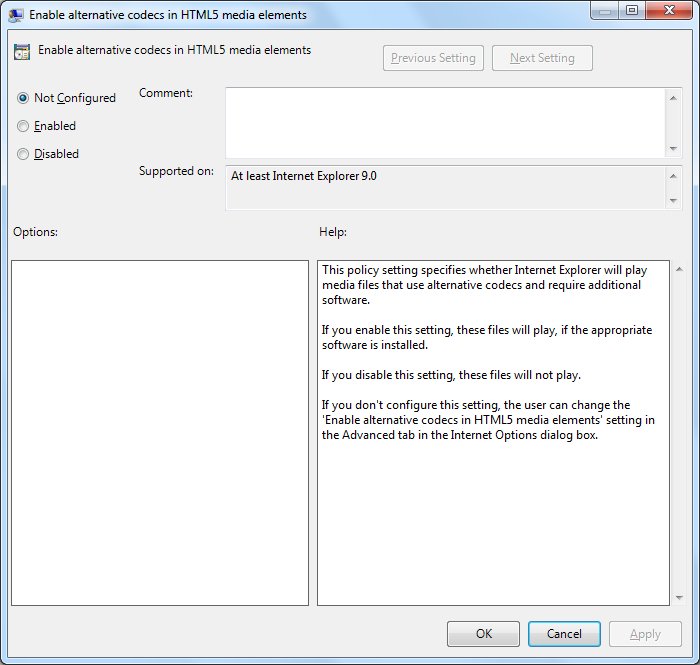 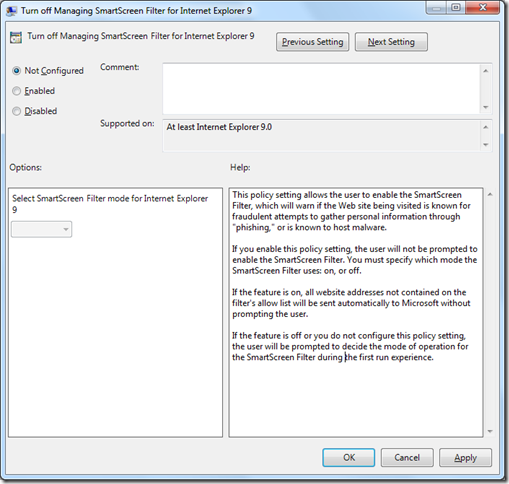 Do these new settings include IE9 integration for group policy preferences?